Chicago police are looking for a man who robbed three women in the South Loop in the last week. CHICAGO (WLS) -- An armed man has robbed three women in the last week in the South Loop in two separate incidents, police said. Chicago police are looking for the man who approached the women with a silver handgun and demanding their purses. The first incident happened at 8:30 p.m. Aug. 8 in the 0-100 block of East Cullerton Street, according to police. The second occurred at 8:40 a.m. Wednesday in the 1800-block of South Prairie Avenue. The man is described as black with black hair, between the ages of 21 and 25 and 135 pounds, police said. The man was captured on a gas station surveillance camera using one of the victim's credit card to purchase gas at Econogas at 43rd Street and South Wentworth on the South Side within 15 minutes of robbery. The man was driving a Chevy with Illinois handicap license plate 275099. 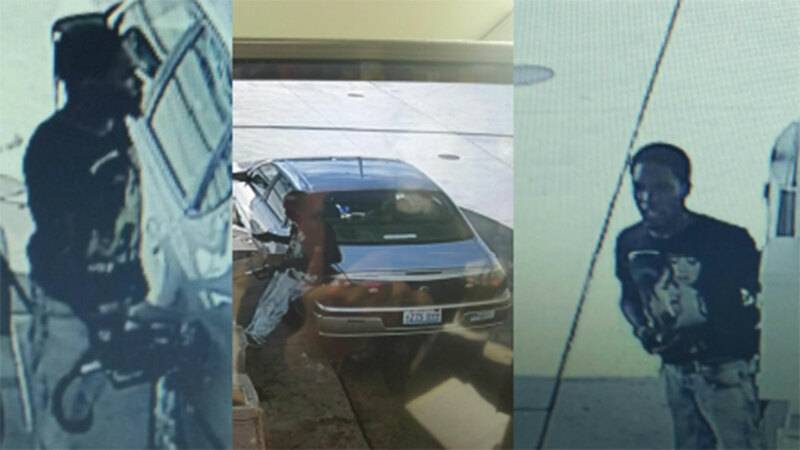 The vehicle was reported stolen from Oak Park on Aug. 7, police said. Anyone with information is asked to call 312-747-8384.